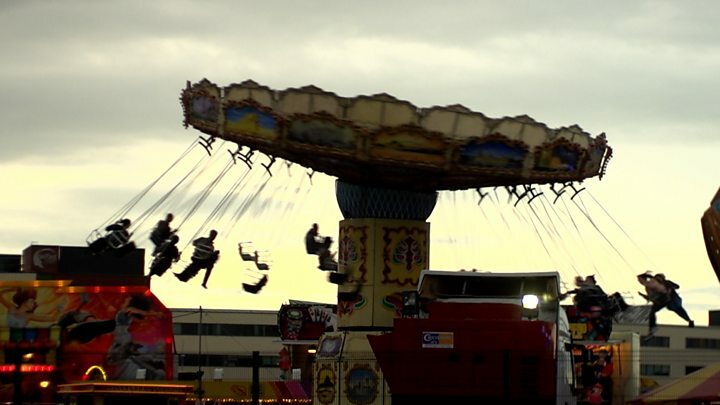 Media captionThe Stormont Merry-go-round. BBC Ireland correspondent Chris Buckler reports. The timeframe to find a deal to restore a power-sharing government in Northern Ireland has been extended to Monday. Parties failed to reach a deal before the initial deadline of 16:00 BST on Thursday. However, a spokesperson for Theresa May said the parties would be given "space to continue the discussions". NI Secretary James Brokenshire will make a statement to Westminster about the future of the talks on Monday. If no deal is reached by Monday, Northern Ireland could face the possibility of direct rule from Westminster. Mr Brokenshire could also give the parties more time to negotiate, or he has the option of calling another assembly election. Earlier, two sittings of the assembly, scheduled to elect a first and deputy first minister, were cancelled. The parties had faced a deadline of 16:00 BST to reach a deal but the DUP earlier said that minister would not be appointed to Stormont in that timeframe. The DUP and Sinn Féin are deadlocked over nationalist demands for an Irish language act. Either the DUP must drop its opposition to a stand-alone act or Sinn Féin must accept a wider form of legislation - a so-called hybrid model which would also cover the Ulster-Scots language. The DUP's Edwin Poots said his party would "have a preference for direct rule ministers" because Northern Ireland is in "paralysis". Sinn Féin said it is "make your mind up time for the DUP". Conor Murphy, from Sinn Féin, said that there had been sufficient time to strike a deal but criticised the "confidence and supply" deal between the DUP and Conservative Party for making an agreement more difficult. In the end, it came as no surprise that another deadline has passed without agreement. This is the second target date missed by the parties since the assembly election in March. It's understood both the DUP and Sinn Féin will continue talking in the coming days while the secretary of state takes time to consider his next move. He is due to make a statement at Westminster on Monday and he may decide to set yet another talks deadline. "The (Conservative) alliance with the DUP has emboldened their anti-rights and anti-equality agenda, has increased their intransigence and that isn't acceptable or sustainable." Alliance Party leader Naomi Long said the party was "inexcusable" that a deal had not been struck after six months of talks. "Frankly we are testing the public's patience well beyond its breaking point," she said. "The fact that this week we are still talking about whether or not there would be an Irish language act - not the detail, not what it would include, not what it would cost, not the impact it would have on other public services but where or not it would be called the Irish language act - is ludicrous after six months of negotiations." UUP leader Robin Swann called for "cool heads" and not "grandstanding or knee-jerk reactions". "Political parties that stood (for election) in March all claimed an increased vote on the basis that they were coming back up here to deliver a functioning executive and assembly for the people of Northern Ireland. "The call now is to get that delivered." The SDLP's Nichola Mallon said that people across Northern Ireland would be "rightly angry at being let down". "We don't believe that we should have missed the deadline today but parties are intimating that they need a bit more time, they need a few days. "I don't believe that we can conceivably go beyond that and I think the people of Northern Ireland deserve more, they deserve a government and they deserve it to be set up now." Mr Brokenshire and Irish Foreign Minister Simon Coveney told the media at Stormont Castle that they believe a deal can yet be struck. "Much progress has been made but a number of issues remain outstanding," said Mr Brokenshire. "I believe that a resolution can be found and I'm urging the parties to continue focusing all their efforts on achieving this." Mr Coveney added: "With courage and goodwill this can be achieved and everybody here is continuing to focus on delivering a positive outcome." Mr Brokenshire is due back in Westminster on Thursday for further crucial votes. Northern Ireland has effectively been without a devolved government for almost six months. Its institutions collapsed amid a bitter row between the DUP and Sinn Féin about a botched green energy scheme. The late deputy first minister, Martin McGuinness, stood down in protest over the DUP's handling of an investigation into the scandal, in a move that triggered a snap election in March. A number of attempts to restore power-sharing following that poll foundered, with three deadlines for a deal having already been missed. Meanwhile at Westminster on Wednesday, the DUP's 10 MPs helped the Conservative minority government win its first parliamentary vote since the general election. As part of its arrangement with the Tory party, the DUP backed the government to help it defeat a Labour amendment to the Queen's Speech, which sets out the government's plans for the coming year. The amendment called for an end to cuts in the police and fire services, and called for pay rises for emergency and public service workers. 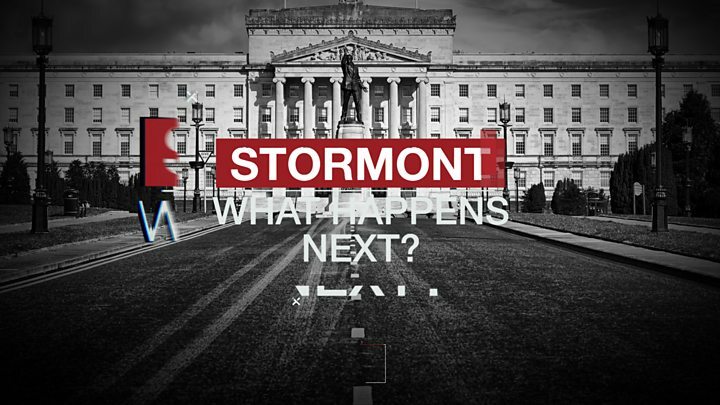 Video What happens if there's no deal at Stormont? Analysis: Where will the money go?